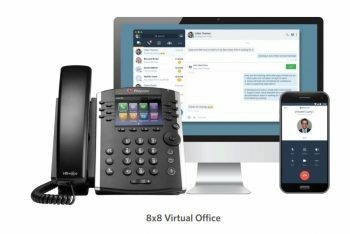 8×8 Virtual Office provides a powerful, cloud-based business phone system, featuring best-in-class features, mobile apps, messaging and collaboration. Companies everywhere are turning to the cloud for more flexible, comprehensive solutions for communications and collaboration. Cloud has become the preferred way to stay ahead of rapidly changing needs and increasingly sophisticated demands of organisations, clients and employees. With a cloud-based PBX from the world-leader in cloud communications, you get the full scalability, security and reliability that today’s enterprise demands. 8×8, the leader in cloud communications, provides a scalable, globally available solution that consolidates and unifies a wide array of communications and collaboration services onto a single, scalable platform. This cloud-based platform greatly simplifies administration and management, and strengthens conformance with security and compliance standards. As a result, IT staff is freed up to focus on more strategic initiatives. Enterprises are realizing that cloud solutions deliver lower Total Cost of Ownership (TCO), faster deployment, and greater control over business continuity. With the cloud, enterprises are gaining the flexibility, agility and insights they need to stay ahead and compete in today’s dynamic environment. Great communications begin with great phone service. 8×8 Virtual Office includes all the advanced telephony features your enterprise needs. In addition to the 8×8 softphone on the desktop and the mobile app, VideoCentric work with 8×8 to provide the best-in-class IP phones, conference phones and video phones to our customers when deploying 8×8 Virtual Office or 8×8 X Series. 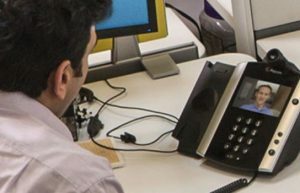 As a fully accredited partner of Polycom for over 10 years, VideoCentric can assist in provision, deployment and management of the leading Polycom devices for the desktop, including IP Phones and IP conference phones for all your environments. 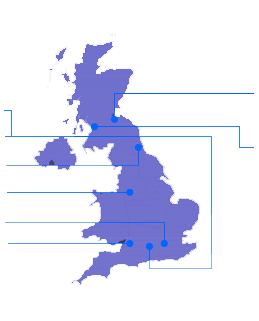 VideoCentric offer a provisioning service for both the 8×8 service and Polycom devices to ensure a simple and swift deployment across your business, nationally and internationally. Find out more or Looking for Pricing? Get in touch with VideoCentric today to discuss the 8×8 Virtual Office solutions and other hosted cloud-PBX solutions, or to find out more about Polycom VVX, Cisco IP phones and deployment offerings for upgrading your business communications to the cloud.